"Voyager 1 Has Left the Solar System"
NASA's Voyager 1 spacecraft officially is the first human-made object to venture into interstellar space. The 36-year-old probe is about 12 billion miles (19 billion kilometers) from our sun. "The team’s hard work to build durable spacecraft and carefully manage the Voyager spacecraft's limited resources paid off in another first for NASA and humanity," said Suzanne Dodd, Voyager project manager, based at NASA's Jet Propulsion Laboratory, Pasadena, Calif. "We expect the fields and particles science instruments on Voyager will continue to send back data through at least 2020. We can't wait to see what the Voyager instruments show us next about deep space." 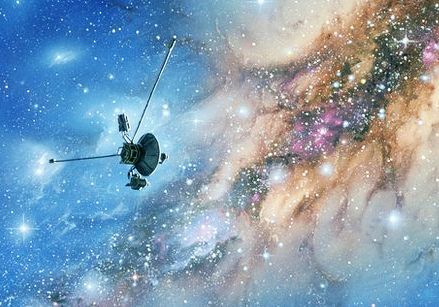 The blog has more on Voyager 1...use search engine.